Akshay Kumar turns 49 on 9 September. The actor has come a long way from his Khiladi franchise, which saw him being stereotyped as an action hero. Akshay Kumar has always been a safe bet for comic capers, with directors flocking to him for comedy franchises. While Akshay was the go-to actor for slapstick comedies, things changed in 2012, when he was roped in for the satirical OMG - Oh My God - an adaptation of the 2001 film, The Man Who Sued God. 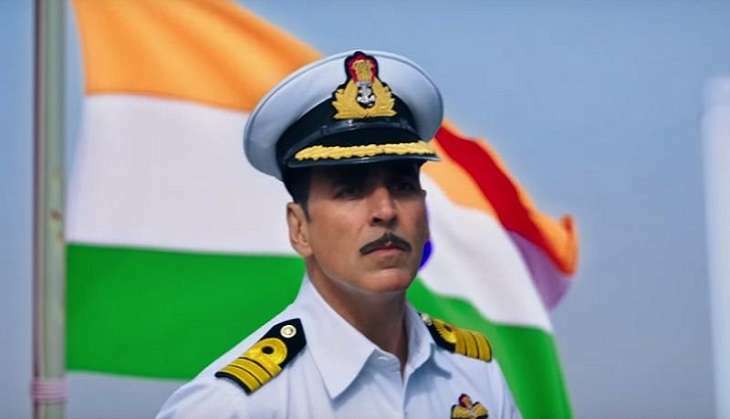 Interestingly, the film made viewers sit up and take notice of Akshay Kumar's versatility, despite the fact that he has been experimenting with films all along. His thrillers like 8 x 10 Tasveer (2009) and Aitraaz (2004) and romantic films like Aarzoo (1999) and Dhadkan (2000) are testament to this fact. In 2013, Akshay took up the ambitious Special 26, where he surprised all and sundry with his portrayal of Ajay Singh in the heist film. While the Neeraj Pandey-directorial sparked interest in the heist genre in Bollywood, the film failed to do perform well at the Box Office. Akshay followed up Special 26 with Holiday, where he essayed the role of a soldier. The film had all the commercial elements and managed to leave a mark at the Box Office. The success of Holiday gave Akshay the confidence to take up content-based films like Baby, Airlift and Rustom, to name a few. His Box Office collections witnessed an upward trend with every passing film. While Baby raked in around Rs 95 crore at the Box Office, both Rustom and Airlift settled at collections of a little above Rs 125 crore. "I like to do different kind of cinema; I like to challenge myself as an actor. For me it gets boring to do same kind of commercial films. Not that I won't be a part of such films, I will keep on doing commercial films, but I would like to balance the same by doing films like Airlift. I am doingRustom, but at the same time I am doing Housefull. I am actually enjoying myself while shooting for Housefull 3. I have to ham while acting in Housefull and that's fun". Akshay is also a staunch believer in content-driven films. "A day will come when films like Baby,Airlift and Rustom will earn more than Rowdy Rathore. People will start asking us to give content based films," he said. His words have proven themselves. This year, Akshay Kumar's content-driven films - Airlift andRustom - have fared better at the Box Office than his slapstick comedy film, Housefull 3. Not just Housefull 3, but Akshay's out-and-out commercial films over the years have failed to do as well as expected at the Box Office. Films like Entertainment (Rs 69 crore), Once Upon Ay Time In Mumbai Doobara (Rs 62.50 crore), Singh Is Bliing (Rs 89.25 crore), Boss (Rs 57.05 crore) and Brothers (Rs 83.00 crore) failed to live onto the expectation. The year 2017 will see Akshay Kumar experimenting with a number of different genres. He will open the year with Jolly LLB 2, which will see him play the character of a lawyer. Akshay will follow that up with Toilet: Ek Prem Katha, in which he will tackle the issue of sanitation in India, with a special focus on women. Later in the year, Akshay will play a crow-like antagonist opposite Rajinikanth in Robot 2.0 - the most expensive Indian film till date. If you thought that was enough to keep the actor busy all year, then think again, he has also signed up for Neeraj Pandey's psychological thriller, Crack. Akshay Kumar's track record proves that the Box Office loves him more when he picks up unconventional roles. That can only mean that the year 2017 will bring him the acclaim he truly deserves. Here's wishing him all the best!